Up to 14 Genestealer warriors find a safe place in this Half-Size foam insert. 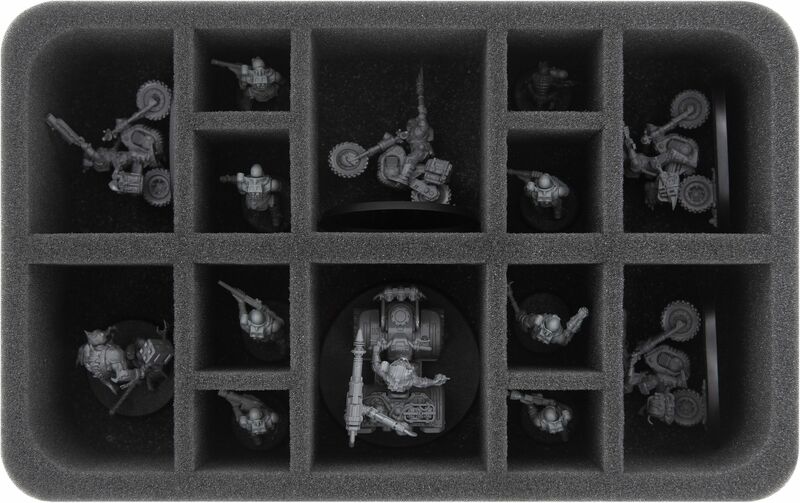 The different sized compartments are suitable for standard warrior models on 25 mm base, as well as for larger Genestealer Cults miniatures. 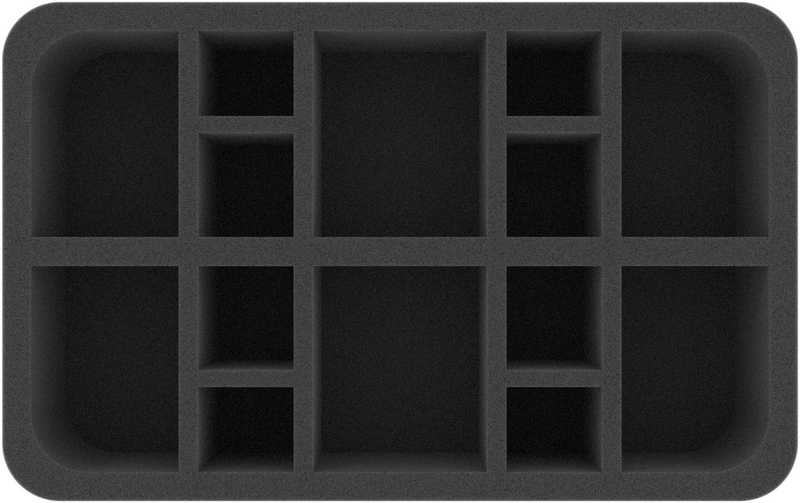 The small compartments are ideal for Neophyte Hybrids and in the large compartments there is enough space for Wolfquads and dirtcycles of the Atalan Jackals, as well as for Aberrants. 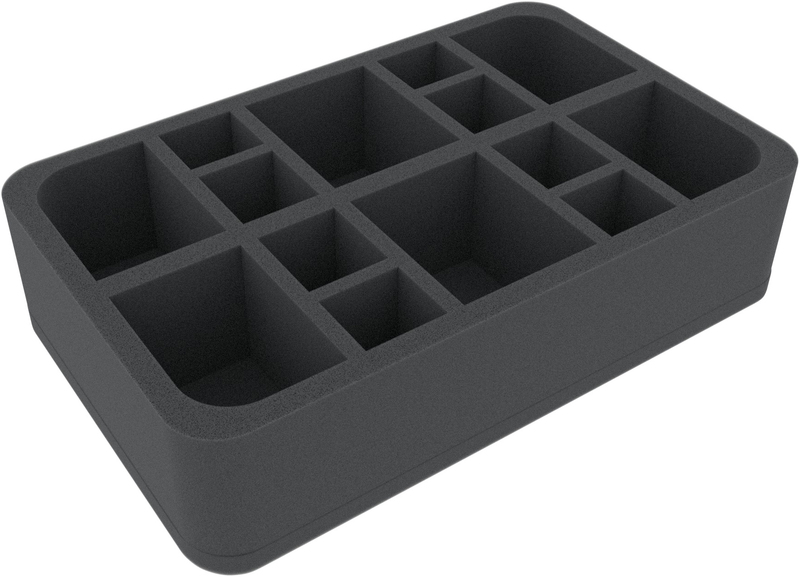 The foam tray has the dimensions: 275 mm x 172 mm x 65 mm total height (55 mm usable height + 10 mm foam base).